Where did a Lubbock County judge get the idea that the U.S. might cede sovereignty to the U.N.? 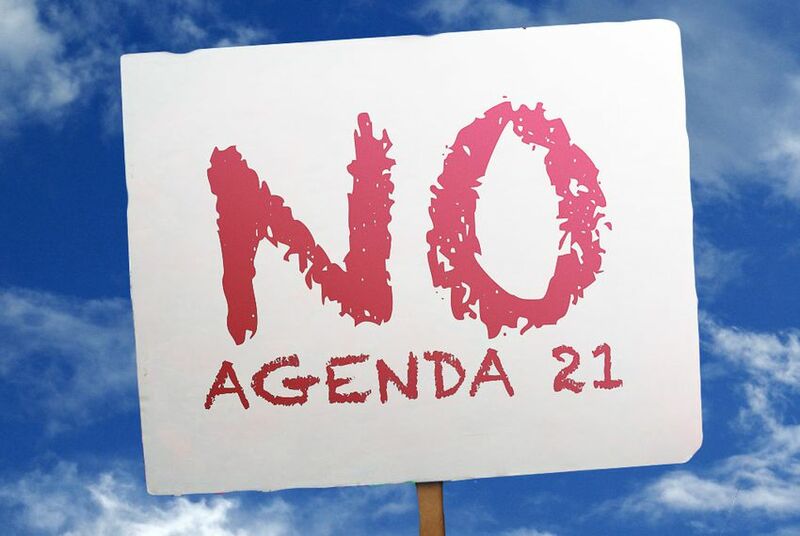 In Texas, activists fearful of such a prospect have cited a 20-year-old resolution called Agenda 21. "It has to do with the way our cities are managed," Almy said. “They’re basically saying things like, ‘It’s good to build more compactly. It’s more sustainable. It’s better ecologically. You use less cars, burn less fossil fuels.'" "It’s changing the status quo of how we operate as a country that is developing, and so it’s threatening to some people," Almy said. "Urban design by its nature is about the collective good, and it isn’t necessarily about the freedom of any one person to do whatever the hell they want." "If you look at the work that is actually being done on the ground, it has nothing to do with some conspiracy theory," Knapp said. "It’s really common sense."